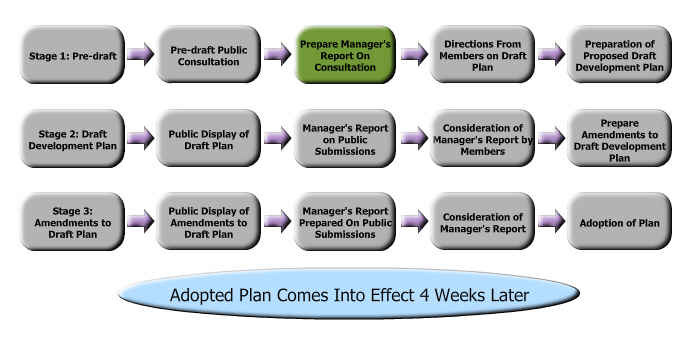 The pre draft public consultation stage for the preparation of the Meath County Development Plan 2013-2019 is now complete. Meath County Council would like to thank everyone who participated in this part of the review process. The next phase is to Prepare Manager’s Report on Consultation – the Manager will prepare a report on any submissions received during this period and will submit this report to the Elected Members for their consideration.